Two new websites worth checking out. The first is Synthetic Edifice, which collects texts related to the accelerationist manifesto – including translations, interviews, and expansions of the ideas in the manifesto. The second site is Speculative Materialism, which looks to be a really interesting new blog which bills itself as a forum for the study of the materialism and ontology of finance. The homogenization of learning and accreditation modes realized through the ‘Bologna Process’ accords with a marketisation of education across Western Europe which threatens the diversity of subjects on offer as vocational subjects and those which lean towards the project of rationality become prioritized in terms of funding and resources. 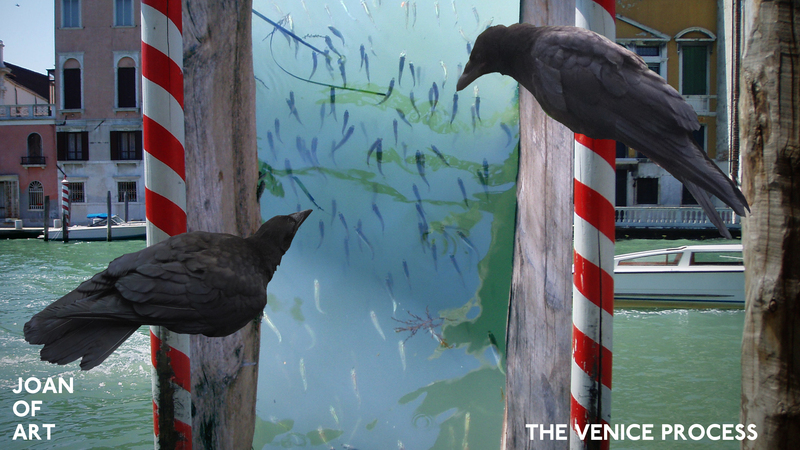 The Venice Process – started at Gervasuti Foundation, Venice, in collaboration with the national Pavilion of the Maldives during the 55th Venice Biennale – aims at offering an alternative education and accreditation system offered by a network of international art institutions. Events – including performances, seminars and workshops – will span the Biennale, culminating in the writing of a free course in art and ecology – written in conjunction with the Maldives Pavilion – and the delivery of a conference on accreditation systems in November 2013. We are issuing an international call out for academics, activists, artists and ecologists to participate in the writing of the free course on art and ecology. Participants will be asked to write a lecture or seminar (remotely) by the end of September 2013 and be available to present the course with other participants in Venice in late November. Joan of Art: Towards a Free Education is an ongoing project started in residence with NOMAS foundation in Rome (2012). It aims at the creation of a free alternative education system delivered via a network of art institutions, globally.